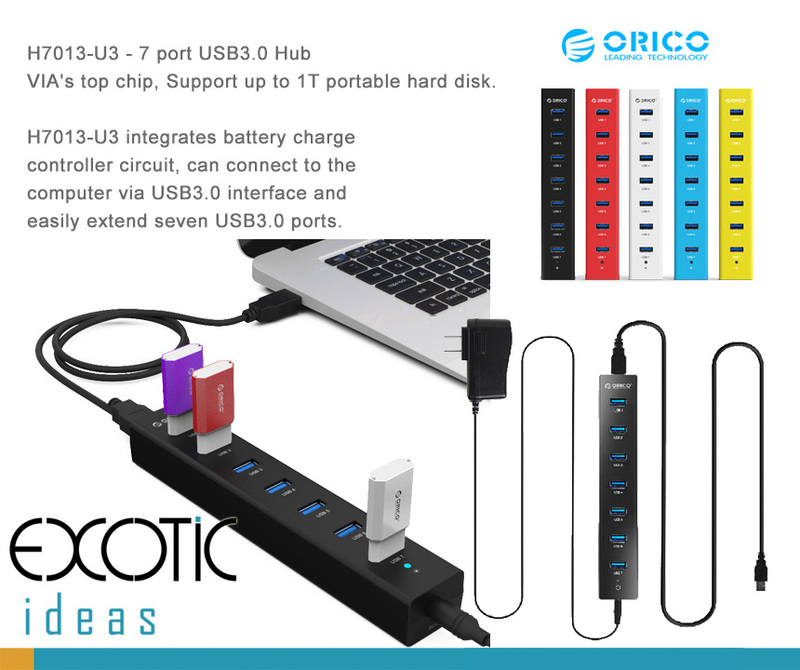 Orico H7013-U3 USB3.0 7 port high-speed hub- VIA top grade chip, Support up to 1T portable hard disk. 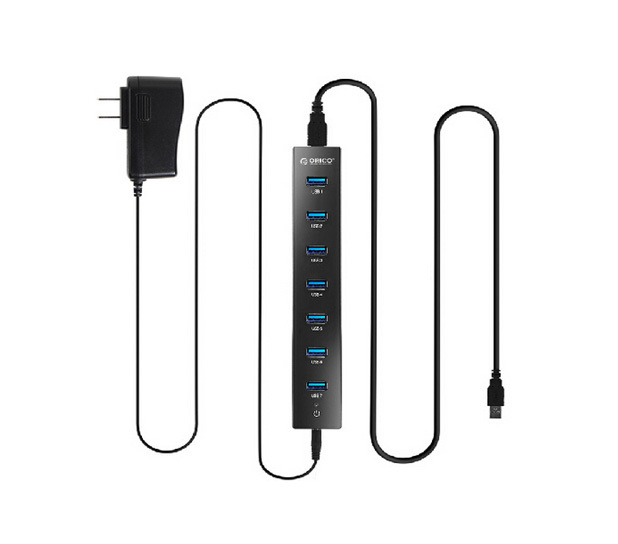 Charging 7 devices simultaneously. 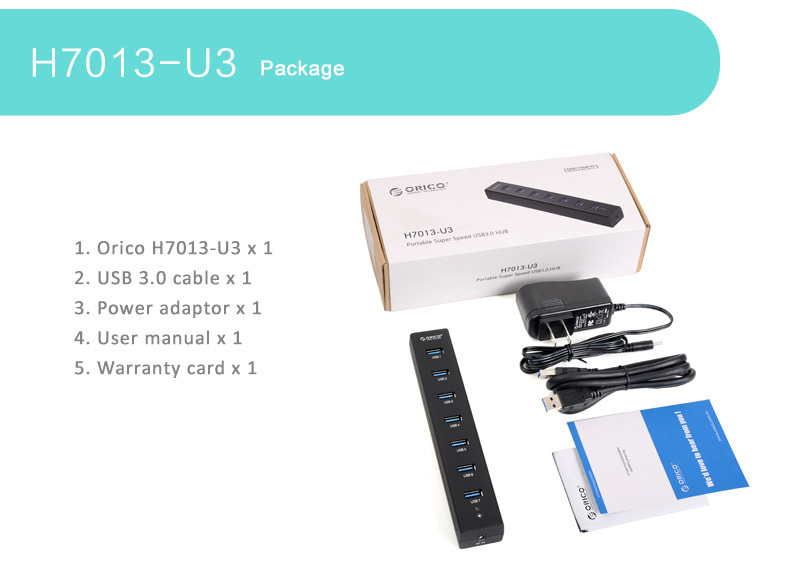 Compatible with Windows PC, Mac, iPhone, iPad, Samsung Phones and Tablets, Other Android phones, Digital Camera...etc. - Made of high strength ABS plastic and matte surface oil treatment makes delicate and durable. 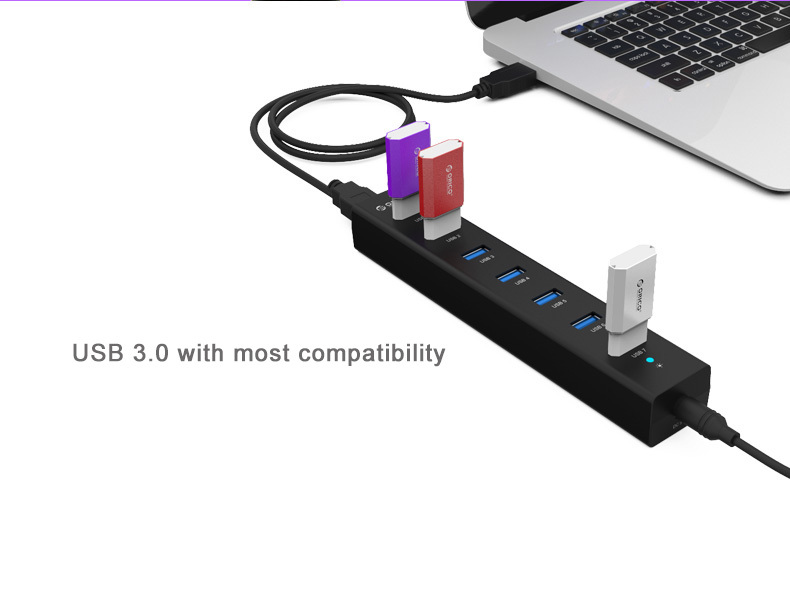 - Integrates battery charge controller circuit, can connect to the computer via USB3.0 interface and easily extend seven USB3.0 ports. 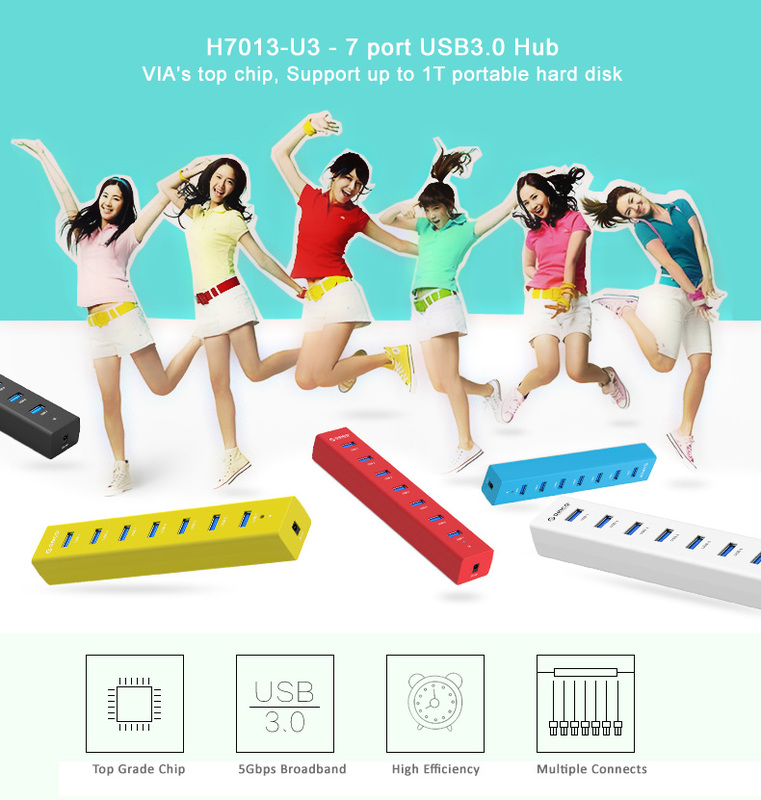 - High efficiency - 5Gbps Broadband transiting. 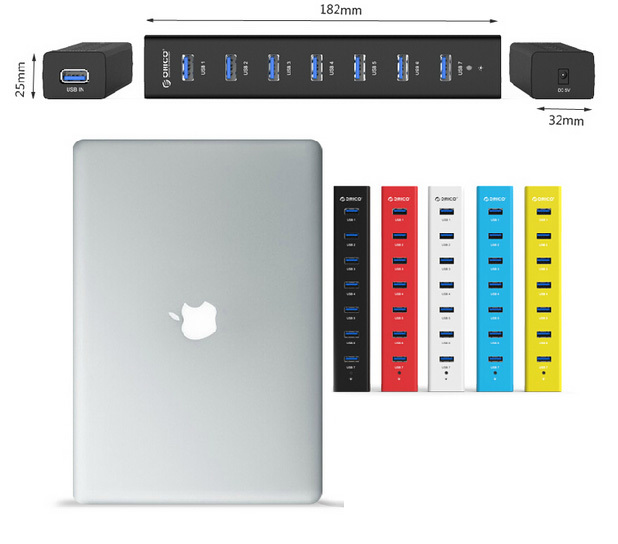 Effectively increase the performance. 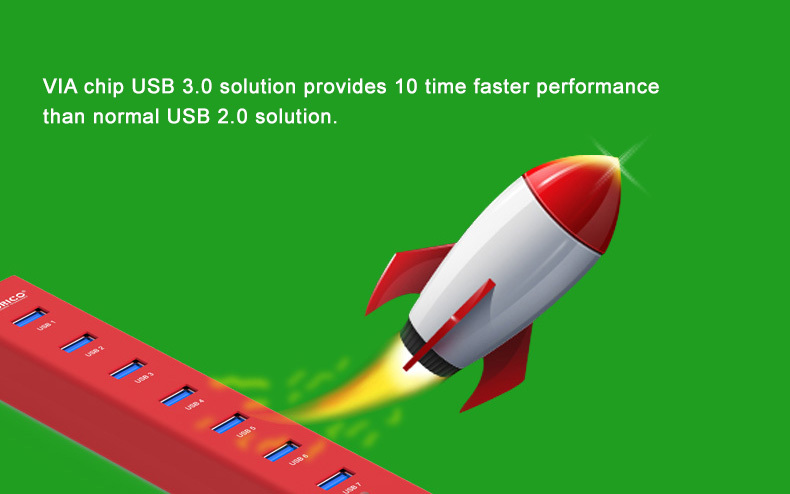 - VIA chip USB 3.0 solution provides 10 time faster performance than normal USB 2.0 solution. 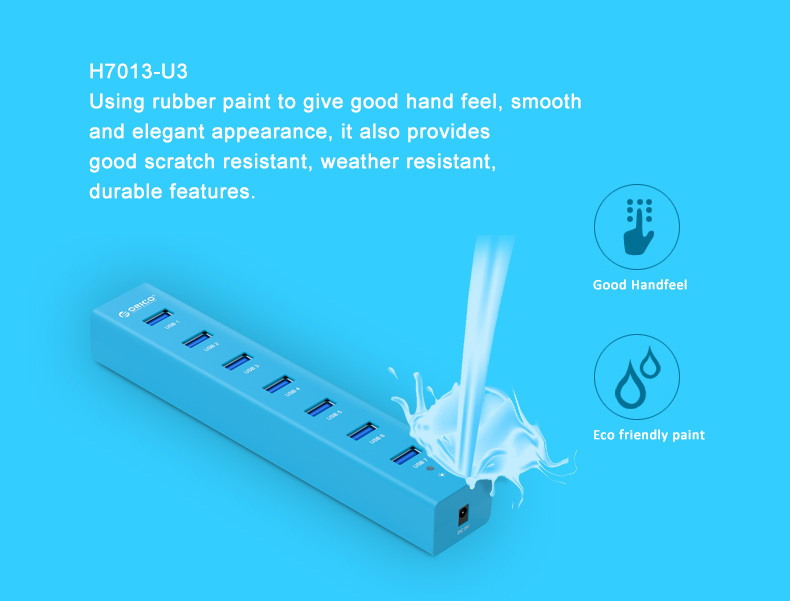 - Using rubber paint to give good hand feel, smooth elegant appearance, it also provides good scratch resistant, weather resistant, durable features. 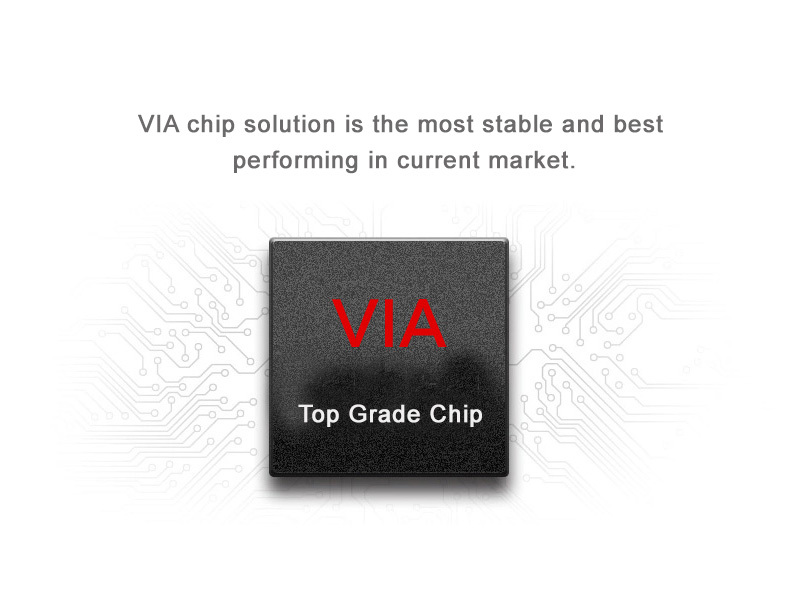 - Security module: Protection for overcurrent, overvoltage, over-temperature, leakage power, short-circuit.